Lapan Lapan Travel Pte Ltd (also known as 88快车) is founded by Mr. Ng Sak Wai in 1992. Lapan Lapan Travel most popular route is bus from Singapore (Kitchener Road) to Ipoh and Grik. With over 20 years of experience, they have built a good reputation among the local in Singapore, Ipoh and Grik. To give more convenience to the tourist staying near the Little India, Lapan Lapan Travel also provides express bus service between Singapore and Malacca Hotels. Their fleet of coaches are designed and built with mission to serve long distance bus route like Singapore to Grik (Gerik). Hence the seat and leg room are relatively more spacious as compared to others. 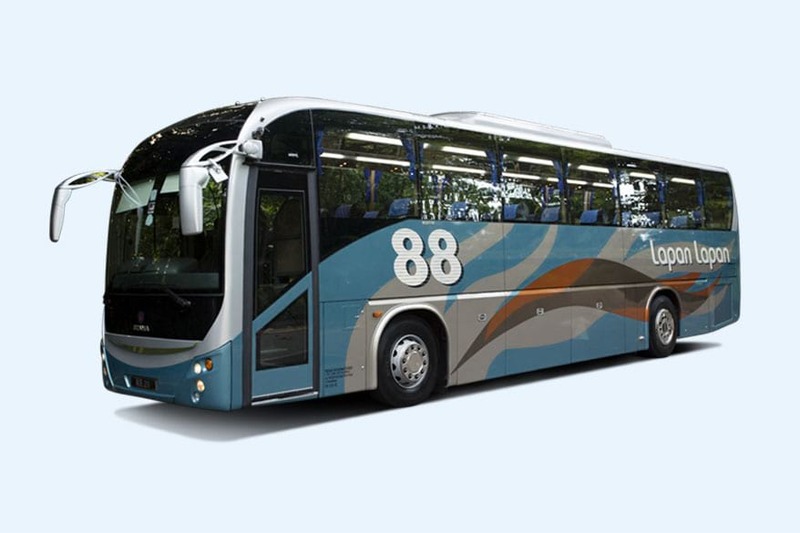 Passengers taking 88 bus could rest comfortably in the coach throughout the journey with the strong emphasis on seat spacing design from Lapan Lapan management.